Kirschenmann grew up on his family’s farm in North Dakota. His academic aspirations led him to earn a doctorate in Philosophy from the University of Chicago. 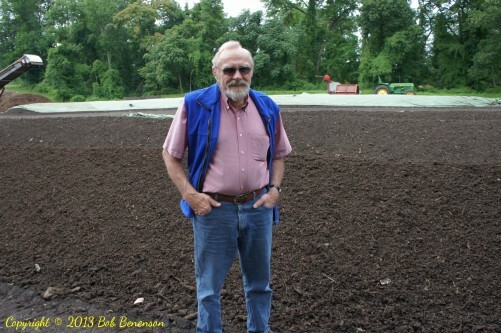 He nonetheless agreed to his father’s request about 40 years ago that he come home to take over the 3,500-acre farm, but under one condition: that he could convert it to organic production. Despite the fact that there weren’t many organic farmers in that part of America at the time, his father agreed. The farm received organic certification in 1976, and the land was transformed from a conventional farm growing wheat and a few other commodities to a truly diverse ecosystem with more than 25 different crops. 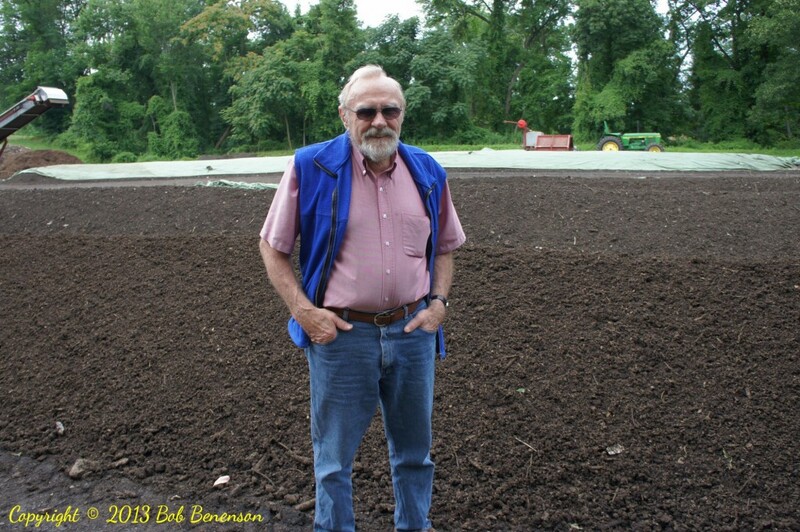 While maintaining his management responsibility for the farm, Kirschenmann eventually took his knowledge of organic farming back to academia when he became the director of the Leopold Center for Sustainable Agriculture at Iowa State University, one of the most prestigious organizations of its type in the country. And since 2010, he has split his time between Iowa State and Stone Barns, which was founded by the Rockefeller family and Chef Dan Barber (who stars at the Blue Hill at Stone Barns restaurant) to teach people about good food. A recent interview of more than an hour with Kirschenmann provided so much insight that Good Food on Every Table is presenting an excerpted q-and-a in two parts. In today’s Part I, Kirschenmann described how Stone Barns — centered in the European-style farm buildings that oil magnate John D. Rockefeller had built in the 1920s — evolved from financier David Rockefeller’s determination to create a lasting tribute to his late wife Margaret, an avid agriculturalist who had raised prize cattle. There are two major focuses to our work now. One is with children… Teaching children where food comes from, how to grow food and how to prepare it with the restaurant here. This is a contribution we can make to that. During the summer, there is a whole slew of kids here. During the year, we have arrangements with a number of school systems here, and they bring them up by school bus. And then the Young Farmer Program is the other major part of the program here. Q: There’s at least anecdotal evidence that younger generations have a better understanding of the problems with our food system to begin with. Last year, we announced on the website that we would open the registration on the 15th of October, and we did, and 36 hours later, we were sold out [250 spaces]. Then, another 170 students signed up and were put on the waiting list. We told the 250 students who were here there were another 170 of their friends out there. We said we’d be happy to give them their contact information, Twitter and Facebook accounts, etc. It’s so inspiring. Q: There are so many ways in which we could address our scarcity problems just by using things more wisely. Kirschenmann: The second to the last issue of the Journal of Sustainable Agriculture… had an op-ed, and the first line was, ‘We’re already producing enough food to feed 10 billion people.’ And yet we haven’t solved the problem of hunger. We’re wasting roughly 40 percent of our food now. The problem of hunger is not a problem of production, it is a problem of poverty and unequal distribution. That doesn’t mean we should insist on letting the human population explode as much as we want to. At some point, we’re going to have a problem with production too. But there are a lot of other things I think are going to happen before that. Q: In so many ways, it’s not going to be a national government-driven solution, but it’s going to be the farmers themselves who will say we need to go back to what worked because we’re harming our own future. Do farmers feel they were bullied into going into this conventional system? Kirschenmann: I don’t know if bullied is the right term. Some of them certainly did feel that they were bullied…There were a number of things that drove that. When we converted our farm in North Dakota to an organic farm, people would often say to me, you’re going back to farming the way your grandfather did. That’s not true, because the way my grandfather farmed, is he would break up a piece of prairie, plant some wheat and oats and various crops he needed, and as soon as it got depleted, he’d break up another piece of prairie, and he’d let this go back to grass again. By the time you get to the end of the Second World War, there wasn’t any more prairie out there to break up to do that. And at the same time, very cheap fertilizer became available. Part of that fertilizer was from the technology we used to make explosives for the war. I still remember cartoons back then in newspapers, it was usually a cartoon of a woman sitting at a tractor, because when the men were off to war, the women were doing the farming. So you had a woman sitting on a tractor and a soldier standing beside the tractor with a bag of fertilizer. My father was a great example of this. My mother and father started farming in North Dakota in 1930 in the wake of the Dust Bowl. As beginning farmers, this was a very difficult time for them. Somehow, my father knew intuitively that the Dust Bowl wasn’t just about the weather, but was also about the way farmers farmed. He was actually a very conservative Republican, but he always said it was [President Franklin D.] Roosevelt who taught us how to farm, because Roosevelt came along with the Soil Conservation Service. So my father became a radical advocate of taking care of the land, this was the most important thing. But he also wanted to be the best wheat farmer in the county. When the fertilizers came along, he was very skeptical. I remember riding with him when he went to talk to the county agent, he went to talk to other farmers whose judgment he trusted. His question was always the same: ‘If I use this fertilizer, is this going to hurt my land?’ And everybody said, ‘Of course not, it’s going to increase the nutrients all over your land. It’s going to be a positive thing’. So based on that, he started to use fertilizer, one of the first farmers in our township to do so…. Then, with the fertilizer, he didn’t have to do as much crop rotation, so he could focus on the crops that were the best yielding financially. Pretty soon, we were caught up in the mono-cropping industrial system as many other farmers were. So when you say, were they bullied into it, it was this series of reasons. The fertilizer companies, etc., did their own kind of bullying, pushing to do more of that kind of thing. This entry was posted in Organic farming, Sustainable food education, Sustainable food systems and tagged Fred Kirschenmann, Good Food movement, organic farming, Stone Barns Center for Food and Agriculture, sustainable food, sustainable food education. Bookmark the permalink. It is so important that sites like this and people like this are here to let us know that there are in fact so many of us working at our grass roots to have healthy sustainable food. It keeps us motivated. And we all know there is strength in numbers and that is what we need if we are to make a difference when we go up against the huge corporate food “producers” like Generals Mills, Nestle etc with all of their millions of dollars to get what they want, to maintain their profits at our expense. Thank you for your excellent comment, Kathy!